A balcony that collapsed at a newly renovated apartment complex in Berkeley killed six young people and sent seven others to the hospital with life-threatening injuries early Tuesday morning. BERKELEY, Calif. -- A balcony that collapsed at a newly renovated apartment complex in Berkeley killed six young people and sent seven others to the hospital with life-threatening injuries early Tuesday morning. The collapse was reported before 1 a.m. at a building on Kittredge Street and Harold Way near the UC Berkeley campus. The victims have been identified as Ashley Donohoe, 22, from Rohnert Park; Olivia Burke, 21, from Ireland; Eoghan Culligan, 21, from Ireland; Niccolai Schuster, 21, from Ireland; Lorcan Miller, 21, from Ireland; Eimear Walsh, 21, from Ireland. The Irish Times reports two of the women who died were cousins. "It looks like it may have collapsed from the fourth floor and then struck the third floor balcony, which is below it, but we don't know specifically how it happened at this point. 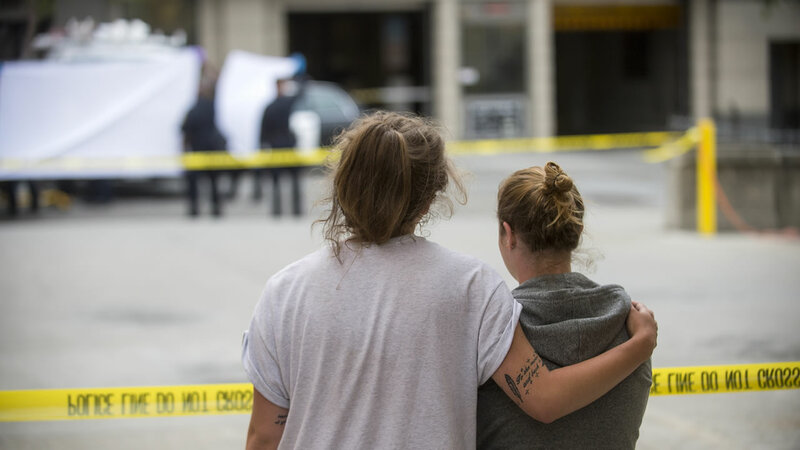 That will all be part of the investigation," Berkeley Police Department spokesperson Jennifer Coats said. The Board of the United Irish Cultural Center released a statement saying: "Heartfelt condolences, prayers and support are coming to all for the terrible tragedy in Berkeley. The United Irish Cultural Center, its staff, all of its members and Board stand ready to help and support in any way that we can as this incredible tragedy unfolds. The Consul General Philip Grant will let us know if there is any way that we can be of immediate support/help at this point in time. We stand ready for a long term commitment to help as well." RAW VIDEO: "Our hearts are breaking but it is so good to know that so many people stand with us." 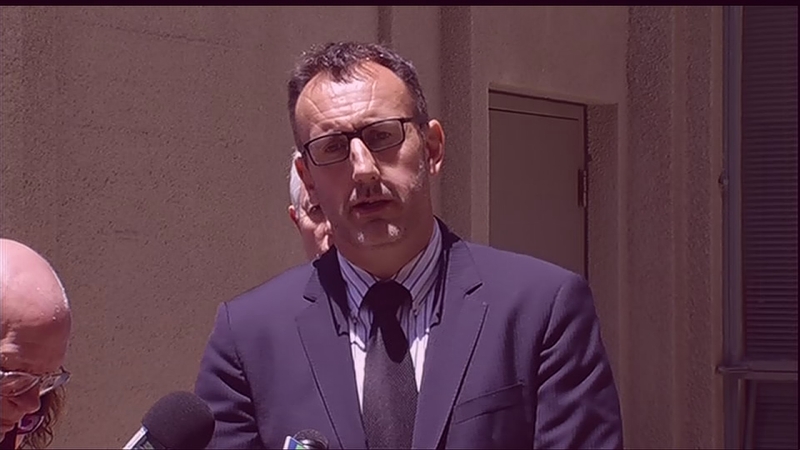 Watch the entire press conference Berkeley officials held about the deadly balcony collapse. The victims' ages range from 20 to 22 years old. There were all from Ireland on a student exchange summer work program. "It is too early to know the full extent of this dreadful accident, but I have opened my department's Consular Crisis Center and activated our emergency response line so we can provide assistance and guidance to the families of those affected and to others who have concerns," Irish Foreign Affairs Minister Charlie Flanagan said in a statement. Witnesses say the group was celebrating a 21st birthday when the fourth floor balcony they were standing on collapsed. The victims are being treated at three different hospitals, including Eden Medical Center, John Muir and Highland Hospital. A Berkeley resident heard the emergency sirens and then saw two people who needed help. "Two desperate students waved me down and I took them to Highland Hospital," Jerry Robinson said. Shocked & heartbroken by tragic balcony collapse. My heart goes out to the victims, their families & the Berkeley community. Robinson said at the time they didn't seem to know the seriousness of the situation. "They were all trying to notify parents and things like that. They were trying to figure out from each other who was on the balcony and what their condition was," he said. But as the morning progressed, the dire news started to spread. People who live in the building say the victims are all from Ireland and in California on J-1 visas so they can work here for the summer. "It's a shock, you never expect something like this to happen. We all come over to work and just enjoy California. It's such a beautiful place and then tragedy like this happens and it's a complete shock," Dan Sullivan said. Irish students who live in the building say they started receiving frantic calls from their own relatives back home, checking to see if they were OK.
"We've been up since 4:30 a.m. trying to reassure them back home that we are safe," Mark Neville said. The balcony seems as though it folded over, breaking apart from the stucco wall. Police say they are doing all they can to figure out why this happened and keep people back from this potentially dangerous scene. "Right now street is closed for safety reasons because we don't know what caused this collapse and we are also concerned the balcony might fall to the street," Berkeley Police Department Ofc. Byron White said. The building owner has not released a comment. City council member Jesse Arreguin released a statement saying: "This building was constructed in 2006, which makes it one of the city's newest apartment complexes." ABC7 News is getting new insight into the tragedy from emergency responders as radio conversations from 911 calls started pouring in to Berkley fire and police dispatch starting at 12:41 a.m. "RP (reporting pary) advising that one of the balconies broke and at least 10 people fell," a dispatch operator said. "Not sure if this going to be a structural issue or if they were just playing around on the balcony and fell off," another operator dispatcher said. Investigators are talking with building inspectors to get a better idea of what may have caused the balcony to collapse. The Library Gardens building is newly renovated and marketed to students. According to the Berkeley Daily Planet, the building was supposed to open in 2002, but it stayed empty for a long time because the developer backed out. The first building was finally completed in 2006 and the second building in 2007. Then, the complex was sold and is now managed by a Houston-based developer called Greystar which manages five other buildings in Berkeley. Father Mcbride from the Irish Immigration Pastoral Center arrived at Highland Hospital to counsel grieving students who have been there all morning to check on the status of their friends. ABC7 News talked with Highland Hospital's spokeswoman a short while ago, who had this to say about their patients and the doctors treating them. "Our healthcare professionals are focusing on the patient's. That's their first priority," Jerri Randrup said. We've had these situations before, we're a trauma center we are well prepared to deal with these kind of situations." The Irish Consulate is urging all students here on a J-1 visa to call their parents and let them know they are OK. Anyone with concerns about friends or family should call the Emergency Consular Response Team at +353 1 418 0200. Several of the students worked at Fisherman's Wharf. ABC7 News spoke with a woman from Ireland who lived close to the accident. "I was asleep when I heard fire brigades going by 2 a.m. maybe. I really don't know because I was asleep. We were awoken around 4:30 a.m. by our parents' texting to see if we were okay," said Andrea Gainford, Wexford, Ireland. The Irish Immigration Pastoral Center in San Francisco helps coordinate the J-1 visa program that many of the young Irish students used. Several members of the staff are at the hospital helping grief stricken students. Heartfelt sympathy & condolences to the families, friends & loved ones of the Irish students who lost their lives in Berkley this morning. The complex is a block from the UC Berkeley campus. It has apartments in the upper floors and retails shops at ground level. Streets in the area are closed as officials determine the stability of the building.